Full replay of the 2012 presidential debate between President Barack Obama and Governor Mitt Romney. Awesome read from the New Yorker, and detailed reconstruction of the US Navy SEALS raid in Pakistan during which they killed Osama bin Laden. The planning and execution of the raid was incredible. Also, some SEALS from the unit that killed Bin Laden were among the victims of a US military helicopter crash in Afghanistan. 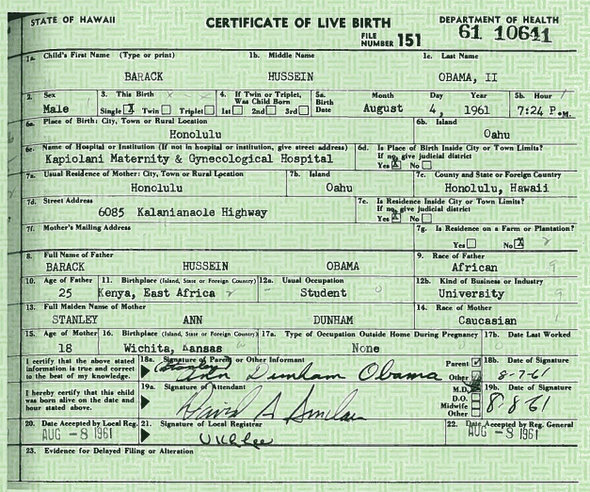 Are the Israelis misjudging the American President Barack Obama? Nigeria to be Removed from U.S. Terror Watchlist? The Daily Independent is reporting that America might remove Nigeria from the list of 14 countries on its terror watchlist. Apparently the Americans have promised to “revisit the issue” and might remove Nigeria from the list as a “goodwill gesture’ to Acting President Goodluck Jonathan when he visits President Barack Obama later this month. Nigeria has upgraded security at the international airport in Lagos with the installation of scanners, and its new Ambassador to the United States, Adebowale Adefuye, reiterated that the attempt by Farouk Abdulmutallab last December to bomb an American plane was a one-off incident which should not have warranted Nigeria being placed on the terror watchlist. President Barack Obama has made his first trip to sub-Saharan Africa. Not to the self declared “Giant of Africa” Nigeria, or even to its biggest economy South Africa, but to Ghana. The Ghanaians are obviously very proud, and Nigerians are smarting – asking themselves why he did not visit Nigeria also/instead. 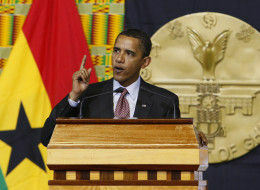 He made a speech to Ghana’s parliament where he told Africans some painful home truths. As an African himself he was able to speak with more candour than other Western leaders. In some passages he basically toldAfricans to stop feeling sorry for themselves, to stop blaming colonialism and the West for all their problems. As he frankly pointed out, the West is not responsible for the child soldiers that are sent into battle by African leaders. Although he pledged to support Africa, he also called for Africans to take control of their own destiny and to hold their leaders accountable. Below is the full text of Obama’s speech. Good morning. It is an honor for me to be in Accra, and to speak to the representatives of the people of Ghana. I am deeply grateful for the welcome that I’ve received, as are Michelle, Malia, and Sasha Obama. Ghana’s history is rich, the ties between our two countries are strong, and I am proud that this is my first visit to sub-Saharan Africa as President of the United States. I am speaking to you at the end of a long trip. I began in Russia, for a Summit between two great powers. I traveled to Italy, for a meeting of the world’s leading economies. And I have come here, to Ghana, for a simple reason: the 21st century will be shaped by what happens not just in Rome or Moscow or Washington, but by what happens in Accra as well. This is the simple truth of a time when the boundaries between people are overwhelmed by our connections. Your prosperity can expand America’s. Your health and security can contribute to the world’s. And the strength of your democracy can help advance human rights for people everywhere. So I do not see the countries and peoples of Africa as a world apart; I see Africa as a fundamental part of our interconnected world – as partners with America on behalf of the future that we want for all our children. That partnership must be grounded in mutual responsibility, and that is what I want to speak with you about today. I say this knowing full well the tragic past that has sometimes haunted this part of the world. I have the blood of Africa within me, and my family’s own story encompasses both the tragedies and triumphs of the larger African story. My grandfather was a cook for the British in Kenya, and though he was a respected elder in his village, his employers called him “boy” for much of his life. He was on the periphery of Kenya’s liberation struggles, but he was still imprisoned briefly during repressive times. In his life, colonialism wasn’t simply the creation of unnatural borders or unfair terms of trade – it was something experienced personally, day after day, year after year. My father grew up herding goats in a tiny village, an impossible distance away from the American universities where he would come to get an education. He came of age at an extraordinary moment of promise for Africa. The struggles of his own father’s generation were giving birth to new nations, beginning right here in Ghana. Africans were educating and asserting themselves in new ways. History was on the move. But despite the progress that has been made – and there has been considerable progress in parts of Africa – we also know that much of that promise has yet to be fulfilled. Countries like Kenya, which had a per capita economy larger than South Korea’s when I was born, have been badly outpaced. Disease and conflict have ravaged parts of the African continent. In many places, the hope of my father’s generation gave way to cynicism, even despair. It is easy to point fingers, and to pin the blame for these problems on others. Yes, a colonial map that made little sense bred conflict, and the West has often approached Africa as a patron, rather than a partner. But the West is not responsible for the destruction of the Zimbabwean economy over the last decade, or wars in which children are enlisted as combatants. In my father’s life, it was partly tribalism and patronage in an independent Kenya that for a long stretch derailed his career, and we know that this kind of corruption is a daily fact of life for far too many. Of course, we also know that is not the whole story. Here in Ghana, you show us a face of Africa that is too often overlooked by a world that sees only tragedy or the need for charity. The people of Ghana have worked hard to put democracy on a firmer footing, with peaceful transfers of power even in the wake of closely contested elections. And with improved governance and an emerging civil society, Ghana’s economy has shown impressive rates of growth. This progress may lack the drama of the 20th century’s liberation struggles, but make no mistake: it will ultimately be more significant. For just as it is important to emerge from the control of another nation, it is even more important to build one’s own. So I believe that this moment is just as promising for Ghana – and for Africa – as the moment when my father came of age and new nations were being born. This is a new moment of promise. Only this time, we have learned that it will not be giants like Nkrumah and Kenyatta who will determine Africa’s future. Instead, it will be you – the men and women in Ghana’s Parliament, and the people you represent. Above all, it will be the young people – brimming with talent and energy and hope – who can claim the future that so many in my father’s generation never found. To realize that promise, we must first recognize a fundamental truth that you have given life to in Ghana: development depends upon good governance. That is the ingredient which has been missing in far too many places, for far too long. That is the change that can unlock Africa’s potential. And that is a responsibility that can only be met by Africans. As for America and the West, our commitment must be measured by more than just the dollars we spend. I have pledged substantial increases in our foreign assistance, which is in Africa’s interest and America’s. But the true sign of success is not whether we are a source of aid that helps people scrape by – it is whether we are partners in building the capacity for transformational change. As I said in Cairo, each nation gives life to democracy in its own way, and in line with its own traditions. But history offers a clear verdict: governments that respect the will of their own people are more prosperous, more stable, and more successful than governments that do not. This is about more than holding elections – it’s also about what happens between them. Repression takes many forms, and too many nations are plagued by problems that condemn their people to poverty. No country is going to create wealth if its leaders exploit the economy to enrich themselves, or police can be bought off by drug traffickers. No business wants to invest in a place where the government skims 20 percent off the top, or the head of the Port Authority is corrupt. No person wants to live in a society where the rule of law gives way to the rule of brutality and bribery. That is not democracy, that is tyranny, and now is the time for it to end. In the 21st century, capable, reliable and transparent institutions are the key to success – strong parliaments and honest police forces; independent judges and journalists; a vibrant private sector and civil society. Those are the things that give life to democracy, because that is what matters in peoples’ lives. Time and again, Ghanaians have chosen Constitutional rule over autocracy, and shown a democratic spirit that allows the energy of your people to break through. We see that in leaders who accept defeat graciously, and victors who resist calls to wield power against the opposition. We see that spirit in courageous journalists like Anas Aremeyaw Anas, who risked his life to report the truth. We see it in police like Patience Quaye, who helped prosecute the first human trafficker in Ghana. We see it in the young people who are speaking up against patronage, and participating in the political process. Across Africa, we have seen countless examples of people taking control of their destiny, and making change from the bottom up. We saw it in Kenya, where civil society and business came together to help stop post-election violence. We saw it in South Africa, where over three quarters of the country voted in the recent election – the fourth since the end of Apartheid. We saw it in Zimbabwe, where the Election Support Network braved brutal repression to stand up for the principle that a person’s vote is their sacred right. Make no mistake: history is on the side of these brave Africans, and not with those who use coups or change Constitutions to stay in power. Africa doesn’t need strongmen, it needs strong institutions. America will not seek to impose any system of government on any other nation – the essential truth of democracy is that each nation determines its own destiny. What we will do is increase assistance for responsible individuals and institutions, with a focus on supporting good governance – on parliaments, which check abuses of power and ensure that opposition voices are heard; on the rule of law, which ensures the equal administration of justice; on civic participation, so that young people get involved; and on concrete solutions to corruption like forensic accounting, automating services, strengthening hotlines, and protecting whistle-blowers to advance transparency and accountability. As we provide this support, I have directed my Administration to give greater attention to corruption in our Human Rights report. People everywhere should have the right to start a business or get an education without paying a bribe. We have a responsibility to support those who act responsibly and to isolate those who don’t, and that is exactly what America will do. This leads directly to our second area of partnership – supporting development that provides opportunity for more people. With better governance, I have no doubt that Africa holds the promise of a broader base for prosperity. The continent is rich in natural resources. And from cell phone entrepreneurs to small farmers, Africans have shown the capacity and commitment to create their own opportunities. But old habits must also be broken. Dependence on commodities – or on a single export – concentrates wealth in the hands of the few, and leaves people too vulnerable to downturns. In Ghana, for instance, oil brings great opportunities, and you have been responsible in preparing for new revenue. But as so many Ghanaians know, oil cannot simply become the new cocoa. From South Korea to Singapore, history shows that countries thrive when they invest in their people and infrastructure; when they promote multiple export industries, develop a skilled workforce, and create space for small and medium-sized businesses that create jobs. As Africans reach for this promise, America will be more responsible in extending our hand. By cutting costs that go to Western consultants and administration, we will put more resources in the hands of those who need it, while training people to do more for themselves. That is why our $3.5 billion food security initiative is focused on new methods and technologies for farmers – not simply sending American producers or goods to Africa. Aid is not an end in itself. The purpose of foreign assistance must be creating the conditions where it is no longer needed. America can also do more to promote trade and investment. Wealthy nations must open our doors to goods and services from Africa in a meaningful way. And where there is good governance, we can broaden prosperity through public-private partnerships that invest in better roads and electricity; capacity-building that trains people to grow a business; and financial services that reach poor and rural areas. This is also in our own interest – for if people are lifted out of poverty and wealth is created in Africa, new markets will open for our own goods. One area that holds out both undeniable peril and extraordinary promise is energy. Africa gives off less greenhouse gas than any other part of the world, but it is the most threatened by climate change. A warming planet will spread disease, shrink water resources, and deplete crops, creating conditions that produce more famine and conflict. All of us – particularly the developed world – have a responsibility to slow these trends – through mitigation, and by changing the way that we use energy. But we can also work with Africans to turn this crisis into opportunity. Together, we can partner on behalf of our planet and prosperity, and help countries increase access to power while skipping the dirtier phase of development. Across Africa, there is bountiful wind and solar power; geothermal energy and bio-fuels. From the Rift Valley to the North African deserts; from the Western coast to South Africa’s crops -Africa’s boundless natural gifts can generate its own power, while exporting profitable, clean energy abroad. These steps are about more than growth numbers on a balance sheet. They’re about whether a young person with an education can get a job that supports a family; a farmer can transfer their goods to the market; or an entrepreneur with a good idea can start a business. It’s about the dignity of work. It’s about the opportunity that must exist for Africans in the 21st century. Just as governance is vital to opportunity, it is also critical to the third area that I will talk about – strengthening public health. In recent years, enormous progress has been made in parts of Africa. Far more people are living productively with HIV/AIDS, and getting the drugs they need. But too many still die from diseases that shouldn’t kill them. When children are being killed because of a mosquito bite, and mothers are dying in childbirth, then we know that more progress must be made. Yet because of incentives – often provided by donor nations – many African doctors and nurses understandably go overseas, or work for programs that focus on a single disease. This creates gaps in primary care and basic prevention. Meanwhile, individual Africans also have to make responsible choices that prevent the spread of disease, while promoting public health in their communities and countries. Across Africa, we see examples of people tackling these problems. In Nigeria, an Interfaith effort of Christians and Muslims has set an example of cooperation to confront malaria. Here in Ghana and across Africa, we see innovative ideas for filling gaps in care – for instance, through E-Health initiatives that allow doctors in big cities to support those in small towns. That is why my Administration has committed $63 billion to meet these challenges. Building on the strong efforts of President Bush, we will carry forward the fight against HIV/AIDS. We will pursue the goal of ending deaths from malaria and tuberculosis, and eradicating polio. We will fight neglected tropical disease. And we won’t confront illnesses in isolation – we will invest in public health systems that promote wellness, and focus on the health of mothers and children. As we partner on behalf of a healthier future, we must also stop the destruction that comes not from illness, but from human beings – and so the final area that I will address is conflict. These conflicts are a millstone around Africa’s neck. We all have many identities – of tribe and ethnicity; of religion and nationality. But defining oneself in opposition to someone who belongs to a different tribe, or who worships a different prophet, has no place in the 21st century. Africa’s diversity should be a source of strength, not a cause for division. We are all God’s children. We all share common aspirations – to live in peace and security; to access education and opportunity; to love our families, our communities, and our faith. That is our common humanity. Africans are standing up for this future. Here, too, Ghana is helping to point the way forward. Ghanaians should take pride in your contributions to peacekeeping from Congo to Liberia to Lebanon, and in your efforts to resist the scourge of the drug trade. We welcome the steps that are being taken by organizations like the African Union and ECOWAS to better resolve conflicts, keep the peace, and support those in need. And we encourage the vision of a strong, regional security architecture that can bring effective, transnational force to bear when needed. America has a responsibility to advance this vision, not just with words, but with support that strengthens African capacity. When there is genocide in Darfur or terrorists in Somalia, these are not simply African problems – they are global security challenges, and they demand a global response. That is why we stand ready to partner through diplomacy, technical assistance, and logistical support, and will stand behind efforts to hold war criminals accountable. And let me be clear: our Africa Command is focused not on establishing a foothold in the continent, but on confronting these common challenges to advance the security of America, Africa and the world. In Moscow, I spoke of the need for an international system where the universal rights of human beings are respected, and violations of those rights are opposed. That must include a commitment to support those who resolve conflicts peacefully, to sanction and stop those who don’t, and to help those who have suffered. But ultimately, it will be vibrant democracies like Botswana and Ghana which roll back the causes of conflict, and advance the frontiers of peace and prosperity. As I said earlier, Africa’s future is up to Africans. The people of Africa are ready to claim that future. In my country, African-Americans – including so many recent immigrants – have thrived in every sector of society. We have done so despite a difficult past, and we have drawn strength from our African heritage. With strong institutions and a strong will, I know that Africans can live their dreams in Nairobi and Lagos; in Kigali and Kinshasa; in Harare and right here in Accra. You have the power to hold your leaders accountable, and to build institutions that serve the people. You can serve in your communities, and harness your energy and education to create new wealth and build new connections to the world. You can conquer disease, end conflicts, and make change from the bottom up. You can do that. Yes you can. Because in this moment, history is on the move. But these things can only be done if you take responsibility for your future. It won’t be easy. It will take time and effort. There will be suffering and setbacks. But I can promise you this: America will be with you. As a partner. As a friend. Opportunity won’t come from any other place, though – it must come from the decisions that you make, the things that you do, and the hope that you hold in your hearts. Freedom is your inheritance. Now, it is your responsibility to build upon freedom’s foundation. And if you do, we will look back years from now to places like Accra and say that this was the time when the promise was realized – this was the moment when prosperity was forged; pain was overcome; and a new era of progress began. This can be the time when we witness the triumph of justice once more. Thank you.